For over 50 years, Precious Metals Refinery (PMR) has been buying diamonds, jewelry, gold, silver, platinum, watches, and coins. Our mission is to give you the most for your valuables. Bring in a competitor’s written offer and we guarantee we’ll pay you more. Our buyers are highly skilled, professionally trained, and qualified to accurately assess your item’s true value. At PMR, we ensure that our customers will receive a private and comfortable experience. We guarantee confidentiality for every transaction. Our friendly staff is ready to respectfully assist you in every step of the selling process and are mindful of any sensitivities you may feel towards parting with special items. When you sell directly to a precious metals buyer, there are no middlemen, which means more cash for you. We offer no gimmicks or coupons, just the guarantee that you’ll walk out of our store with the most money. At PMR, our expert staff will price your items accurately and offer you more than any other vendor. 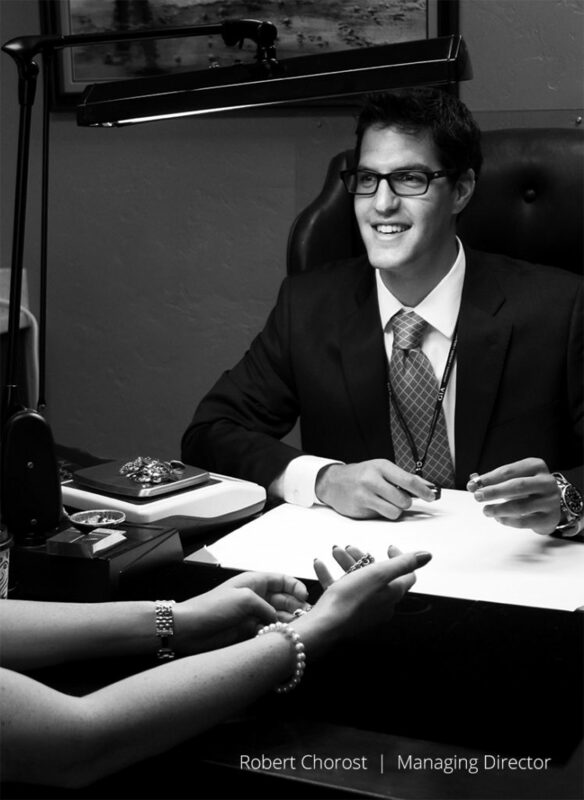 Precious Metals Refinery was founded by Richard Baron, former Executive Director of the National Association of Jewelry Appraisers and Director of the National Association of Watch Dealers. Baron used this knowledge, as well as the experience acquired while owning and managing multiple retail jewelry stores, to help him create PMR. He succeeded in his vision of making PMR a premier diamond, jewelry, gold, silver, platinum, watch, and coin-buying company. Although he no longer possesses any equity interest in the company, he is still a consulting resource. Do you need immediate cash? Call us today to arrange your free consultation and quote. We will pay you the most for your diamonds, jewelry, gold, silver, platinum, watches, and coins. Precious Metals Refinery is built on integrity, accuracy, and consistency. We are committed to maintaining state-of-the-art practices and our employees are experienced and trained professionals. Our reputation speaks for itself. Precious Metals Refinery provides a private and comfortable atmosphere for our clients. What makes us different from our competition is our focus on providing the best customer service when we buy your gold and jewelry. We are very respectful and sensitive to our clients’ needs. We understand that sometimes parting with an old piece of jewelry can be hard, especially if it has sentimental value.